When I was a teacher, my desire was to be a positive influence in the lives of my students. After I married, I determined to become a godly wife. And as a mother, I wanted nothing more than to raise children who loved the Lord. While all of my strivings were well-intentioned, in each case, I had placed too much confidence in my own ability to live it out. Whenever my efforts fell short, I’d either beat myself up or blame someone or something else for my failure. In spite of my efforts to be the best wife, friend, volunteer, neighbor, and mother I could be; I became increasingly more exhausted, discouraged, and overwhelmed with trying to do all of the things I thought a good Christian should do. Completely worn out, I confessed to God my inability to become the godly woman I was trying so hard to be. As I looked to His Word, God began to draw me back to the gospel, reminding me that Jesus Christ had condescended to earth to live the perfect life of obedience that I was unable to live. With new understanding, I began to grasp the significance of the cross for living a victorious life. I have been crucified with Christ and I no longer live, but Christ lives in me. The life I now live in the flesh I live by faith in the Son of God who loved me and gave Himself for me. I do not nullify the grace of God, for if righteousness were through the law, then Christ died for no purpose (Galatians 2:20-21). Where the law reminds us of how short we have fallen and our need for a Savior, the gospel redeems us through the steadfast love and mercy of God! As I learned to appropriate these truths day by day, freedom and joy began to replace discouragement and defeat. A burden was lifted each time I reminded myself that God had done what I could not do. It was true that I could not be patient, loving, gentle, or submissive in my own strength. These are attributes of the Spirit and contrary to the flesh. For a little longer we must contend with selfishness, self-sufficiency, worldly passions and desires but, in Christ, we have power to say no to sin. As we learn to say no the flesh and submit to the authority of God’s Word, the Holy Spirit empowers us with strength, wisdom, and desire to live a life that glorifies Him. And the more the gospel saturates each corner of our hearts, the more our light spills over to others. We rejoice that “His divine power has granted to us all things that pertain to life and godliness, through the knowledge of Him who called us to His own glory and excellence,” (2 Peter 1:3). While the flesh may put up a good fight; Christ has set us free from its dominion over us. The Bible gives many examples of ordinary women who met the Living God and became women of influence in their generation. Their lives were not characterized by worldly success but by the Spirit’s transforming power in their lives. We will look at two examples now. 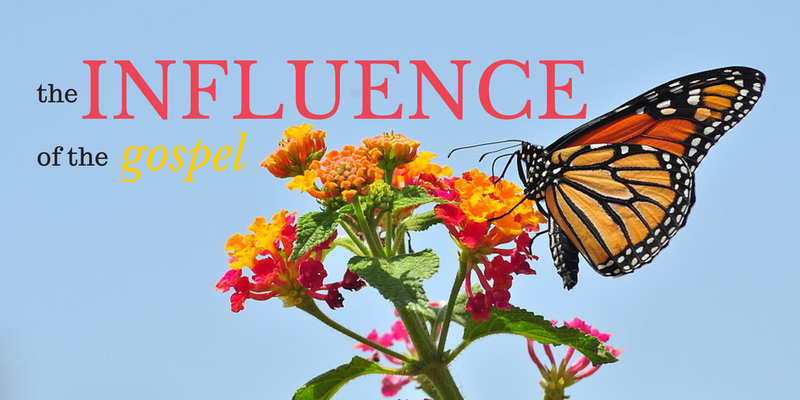 A God-fearing Influence: While the Proverbs 31 woman has gotten some bad press and caused more than a few women to feel they could never measure up to such a standard, there is one thing we can all learn from her. The praise her husband and children had for her was not because of all the things she did, but because of who she’d become through her relationship with God. Her wisdom and kindness reflected the influence of God’s truth and mercy in her life. Because she feared Him, she feared nothing else. It was His love that motivated her good works and the lives she touched. You and I may not sew or get up while it’s still night to provide food for our household. In all of my life, I have never even considered buying a field or planting a vineyard! The truth is, it’s not the things we do that define us or make us beautiful, whether married or single. What marks an excellent woman’s life is Christ. Whatever she does that pleases Him is simply a response to the amazing grace He has lavished upon her. Do you measure your success by how you compare to others or what you’ve accomplished? Do you live in fear of what tomorrow may bring? As we plant ourselves deeper into gospel grace and the fear of God, other fears loosen their grip on us. You and I can laugh at the days to come because all who are hidden in Christ really have nothing else to fear. The women of Proverbs 31 was not some super woman, but she does point us to a relationship with God that’s worth following! A Quiet and Gentle Influence: That’s how 1 Peter 3 describes Abraham’s wife Sarah, along with her submission to God and her husband. I am so thankful that the book of Genesis allows us to meet this sister earlier in her marriage, reminding us that sanctification is a process! When we first meet Sarah, we find a woman of strong opinions who sometimes did things she probably wasn’t too proud of. The Sarah that Peter describes has become a woman distinctly marked by her relationship with God. Somewhere along the line, Sarah learned that submission to her husband did not mean she had less value or ability than he did. Rather, as she learned to put her hope in God and not give way to fear, she increasingly reflected a gentle and quiet spirit. Sarah is an example worth following. When we put our hope in Christ alone, the influence of the gospel will increasingly overflow to all who know us. And by God’s grace, like our sisters of ages past, our lives will also become examples worth following! And his Mother’s Name Was….